Donald Trump—who is what happens when a fart farts and also quite possibly the GOP nominee for president—got a collection of endorsements today from NASCAR: Chairman and CEO Brian France, Hall of Fame driver Bill Elliott, and current drivers Chase Elliott, Ryan Newman, and David Lee Regan. 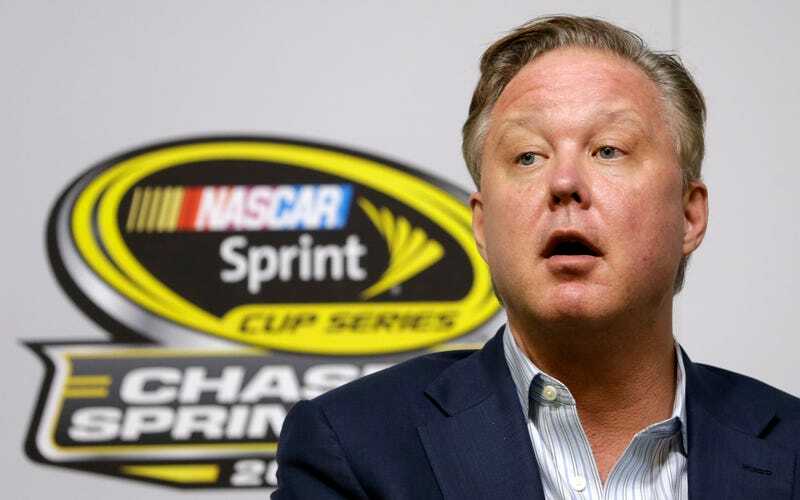 Via Dan Wetzel, NASCAR said France’s decision to endorse Trump was a “private, personal decision,” which requires ignoring the very public press release that proclaimed “I am proud to receive the endorsement of such an iconic brand,” the fact that France spoke at a Trump rally that was broadcast, and that France is the head of a million-dollar sports enterprise popular in southern states heading to the polls on Super Tuesday. Really, there’s nothing private about this at all. NASCAR’s leader loves Trump! Here’s the video where France, Elliot, and Co. endorse Trump. Nothing says hearty endorsement like “I’ve known him just a little bit,” right? Now here’s John Oliver scorching him for a palate cleanse. Contact the author at diana.moskovitz@deadspin.com.